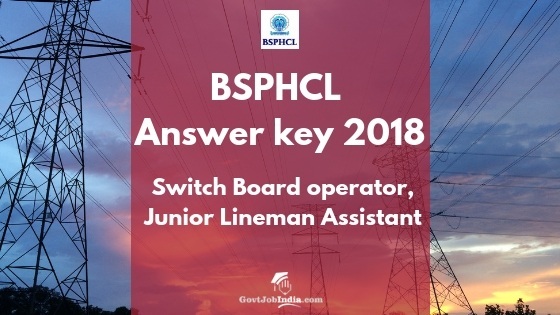 Bihar BSPHCL SBO Answer Key 2018– All those candidates who are looking for the Bihar BSPHCL SBO (Switch Board Operator) Answer key will be released after the successful completion of the Bihar BSPHCL Recruitment Exam. So, all those who want to check out the BSPHCL SBO Answer Key to know their marks obtained should head to the official portal of the BSPHCL which is www.bsphcl.bih.nic.in. You can know the BSPHCL Assistant Result early by checking out the Bihar BSPCHL Assistant Answer Key 2018. This will give you a rough idea of how much you have scored in the BSPHCL Exam 208. So, without wasting much of your time, move on to the Bihar BSPHCL Assistant Answer Key 2018. 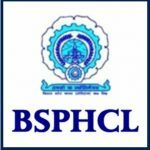 The BSPHCL Bihar State Power (Holding) Company Limited Recruitment 2018 was conducted for the appointment of the posts of Assistant Operator, Switch Board Operator – II, Junior Line Man, Technician GR-IV. There were a total of 2, 050 Vacancies and candidates from all across the state applied for the Recruitment. If you are one of those who applied for the Bihar BSPHCL Recruitment, then you would have also recieved the admit card of the same. But before we go to the BSPHCL Answer Key Details, make sure to check out the BSPHCL Recruitment Vacancy details given below. Furthermore, also check out our detailed pages related to the syllabus and Admit Card of the Bihar State Power (Holding) Company Limited Recruitment. The Bihar BSPHCL Assistant Answer Key will help you know how many marks you have scored in the exam of the BSPHCL Recruitment. You will be able to count the marks which you have marked right and the other, which you have marked wrong should be subtracted from your grand total. This will give you a rough idea about how you have fared in the Bihar BSPHCL Recruitment. After that, go to the Latest Notifications section which will be there on the homepage. Or, search for the BSPHCL SBO Answer Key 2018 link. Click on the link which will take you to the BSPHCL Answer Key 2018. The page opened will enquire about your Application ID and date of birth to validate your access to download the Bihar BISPHCL Answer key as per your post, i.e. Assistant Operator, Switch Board Operator – II, Junior Line Man, Technician GR-IV. Download the Official BSPHCL answer key for further uses and cross check the answers which you have marked. Otherwise, you can click on the link given below and go to the direct link to download the BSPHCL SBO Answer key. Thus in 7 easy steps, you would have downloaded the BSPHCL SBO Answer Key 2018. 32% for SC/ST/ Female candidates. As the examination is over, the most anticipated part of the BSPHCL Recruitment will be the recruitment Merit list and Cut off the result. So, all those who are actually interested in securing the job must go to the BSPHCL Result page which we have made and check out the status of the BSPHCL result 2018. Furthermore, we have also given the BSPHCL Assistant Result details covering all sub parts which you need to know. So, without further waiting, make sure to go over to the BSPHCL Assistant Result page and check it out. Candidates can also write to them on Email ID: employment@bsphcl.co.in in case of any doubts related to the same. Recruitment notification Detailed Notification about the BSPHCL Switch Board Operator and Assistant Recruitment 2018. Hope you liked this article about the BSPHCL Answer Key. If this article about the Bihar BSPHCL Assistant Answer key, then make sure to share it with all your friends who might be appearing for the same. Furthermore, if you have any doubts related to the same article, comment down below and we will get back to you as soon as possible. For more prompt updates about the latest govt job vacancies, make sure to subscribe to our website GovtJobIndia.com.